My husband and I have used this app 24/7 before we were separated. 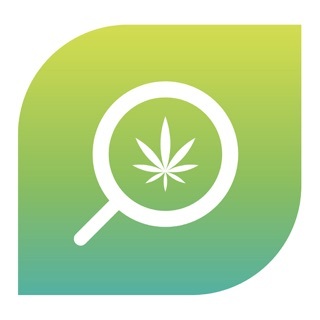 I used this app to help him find specific strains for certain ailments. He is a military vet and he’s been through too much pain and has had 3 shoulder surgeries in 2 years during his job working as a police officer. I would desperately use this app to find whatever he needed to help with chronic pain, anxiety, insomnia, depression, and fatigue at times. I made it my prime number 1# job for myself to find this man the strain he needed to move forward every single day. Plus I used this to find myself medical marijuana strains for sleep and occasional Chronic pain as well. I still hold my fact that Medical Marijuana is made my Mother Earth and she is to be used when people are suffering. Also ! I’ve been noticing a lot of MM products for pets who suffer Arthritis and anxiety and I love it!! So many living beings on this earth deserve a natural medication it’s up to them how they use it responsibly. But I’m so grateful for the states that are on board with legalizing it. Ask for all Oakland cannabis providers, usually get 5 providers, BUT only 2 from Oakland, with 3 others usually 1 from Berkeley, other 2 from as far away as San Francisco!! No comprende! There are more than 5 from Oakland, all very good to acceptable. Why would I want to go farther away for providers that are rated no better, and have no better strains or products? I have to search thru Safari to find most or all of the other OAKLAND PROVIDERS. Help keep the planet in better shape by giving ALL the Oakland providers, and reducing the use of autos that mostly use reciprocating internal combustion engines burning fossil fuels. Even if I drove an all electric or hybrid auto, they still get ~ 90 of the electricity that they use from none renewable sources or resources. The electricity is ‘clean’, but how it was generated is mostly not. Someone saying I use clean electricity is either ignoring from where and how that ‘clean electricity’ is generated, or is ignorant or just plain stupid. “Weedmaps Oakland Ca providers only” means providers FROM OAKLAND. Does it not?? ?